Ever felt like you don’t have all the answers to parenting? 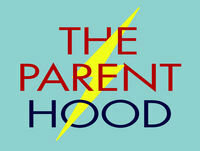 From the founders of The Bump Class, Marina Fogle and Dr Chiara Hunt, The Parent Hood gives expert answers to the things parents really want to know about. And it’s not just any information - it’s impartial, engaging and professional advice delivered by experts - a world away from Google. So whether your child has reflux, nits or you’re worried about going back to work, we’ve got it covered.